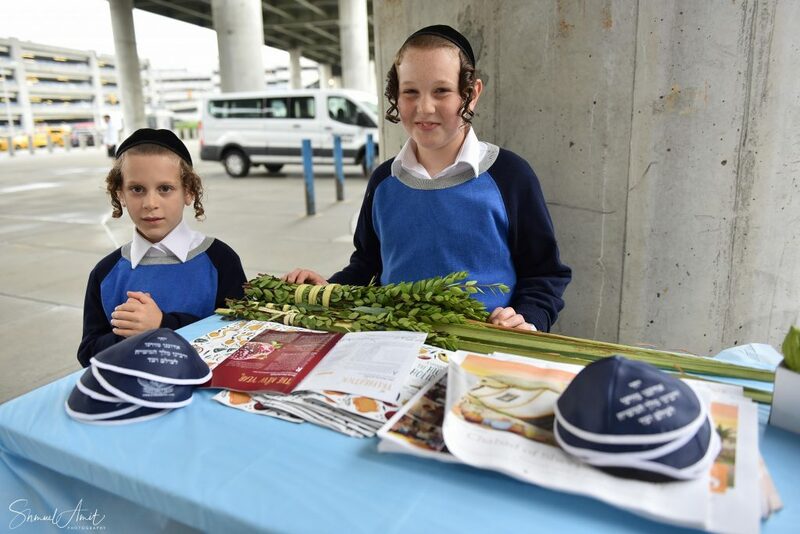 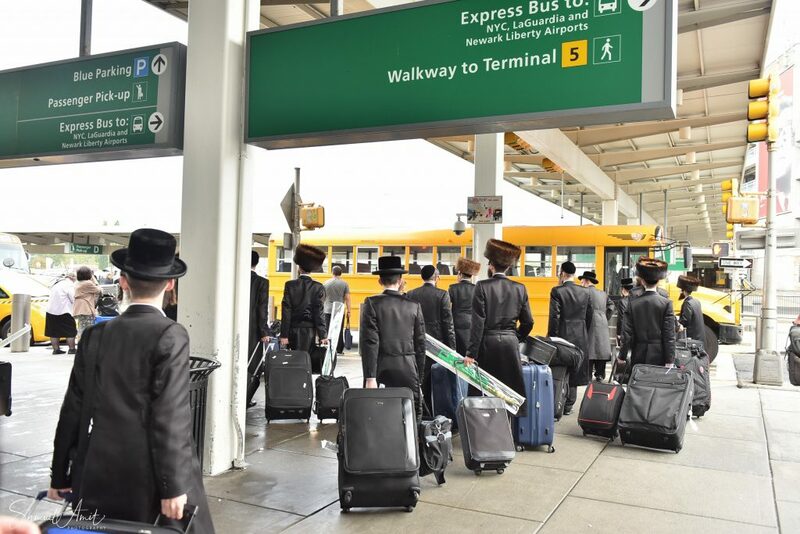 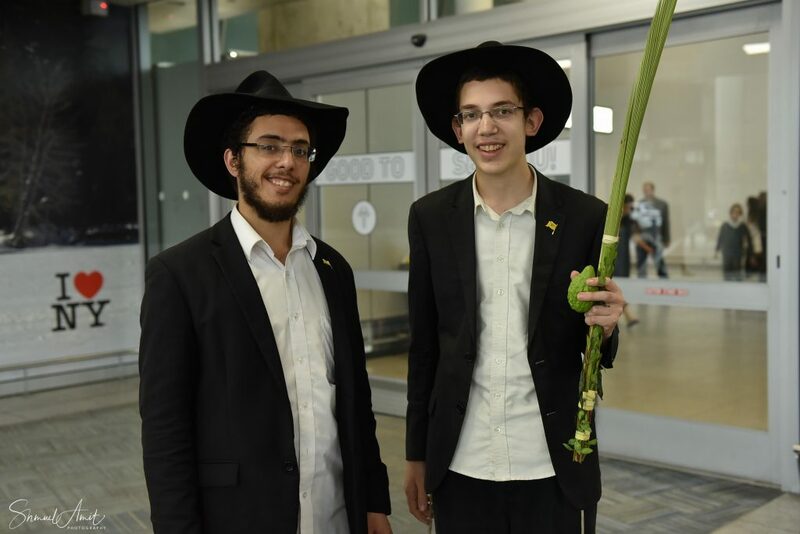 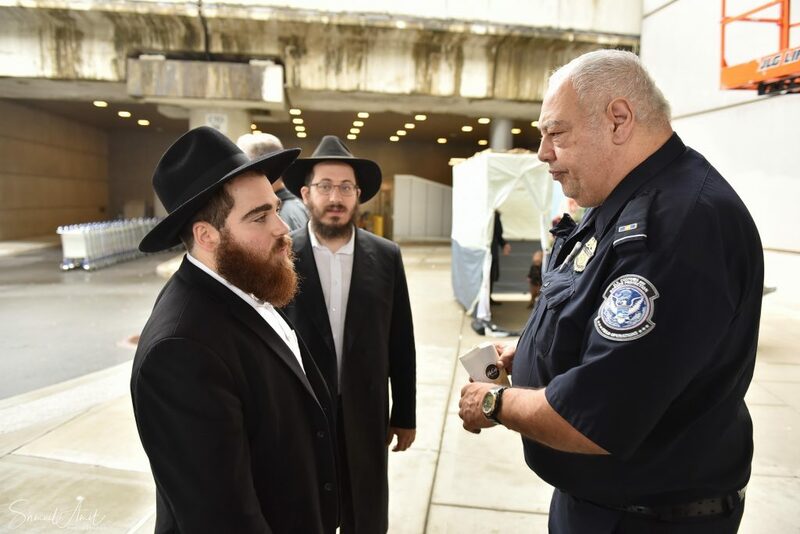 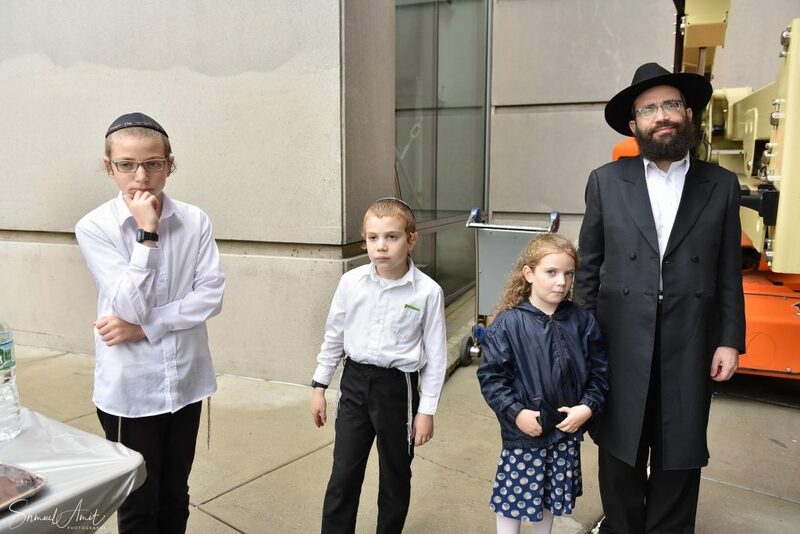 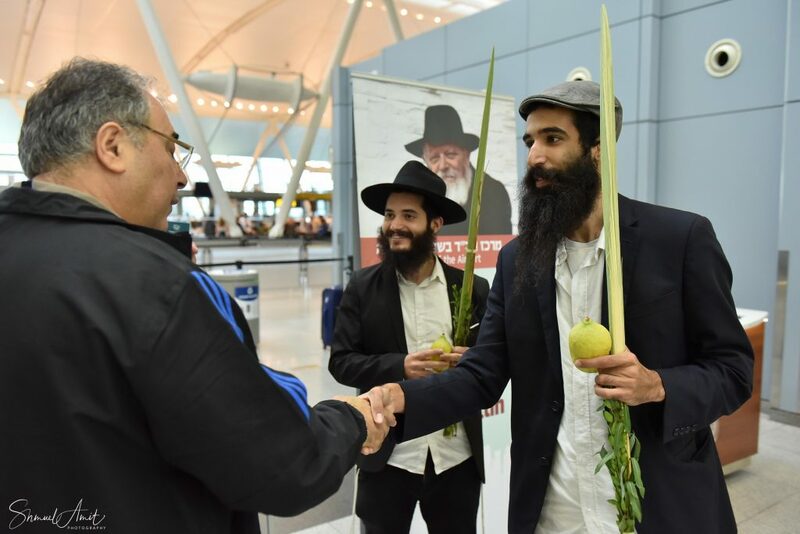 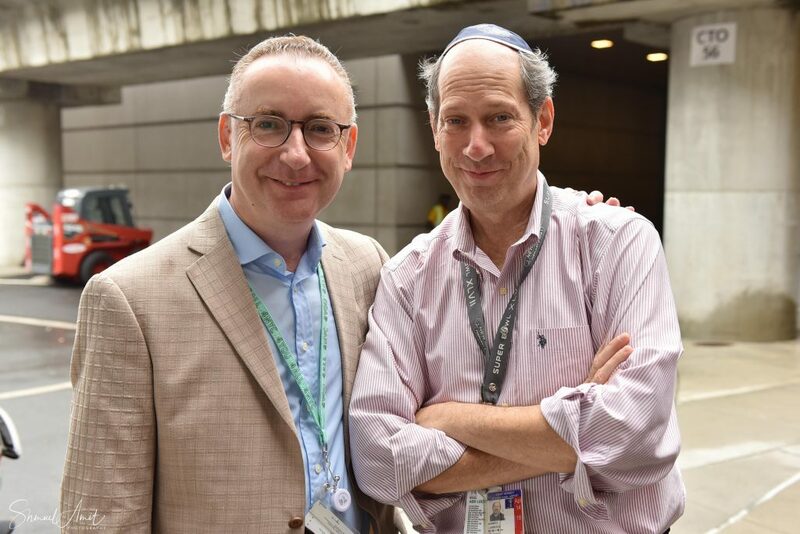 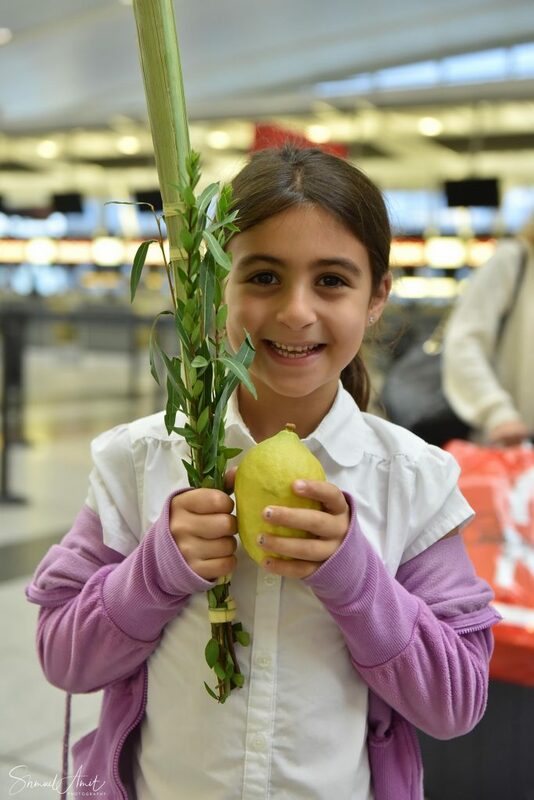 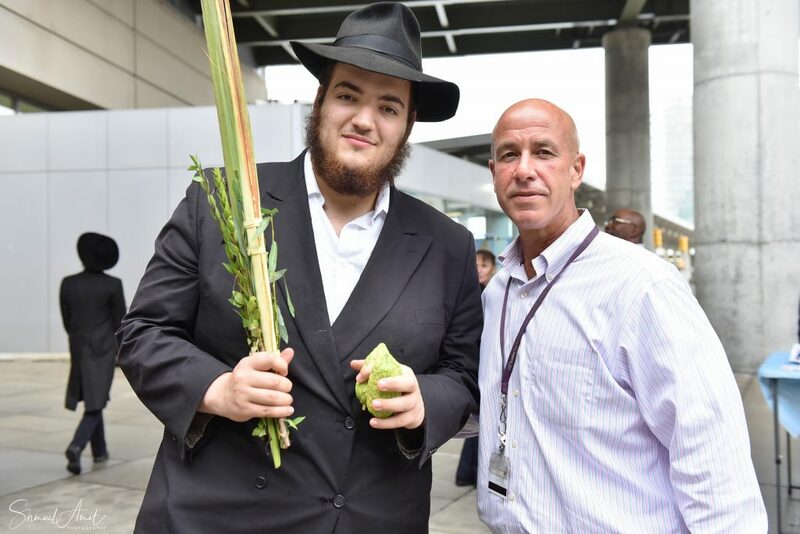 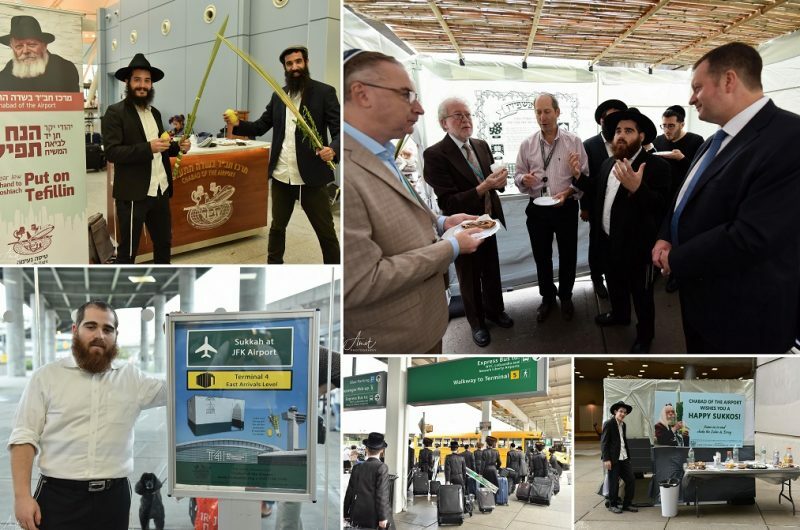 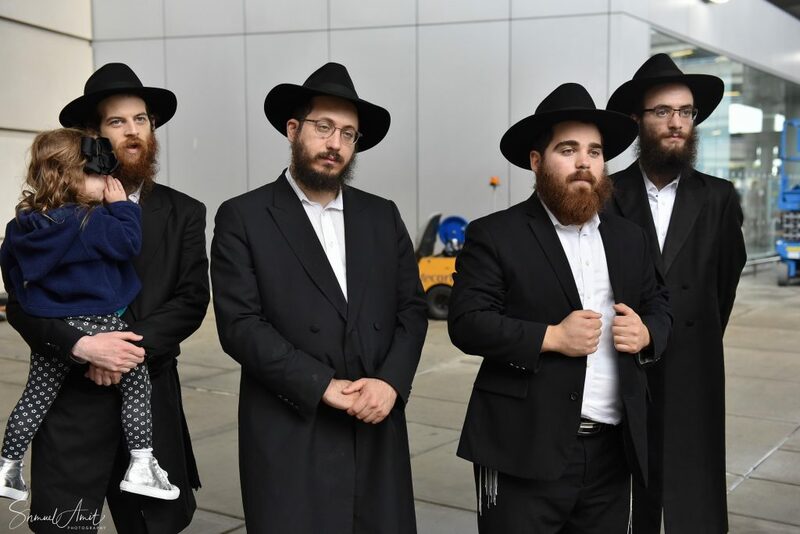 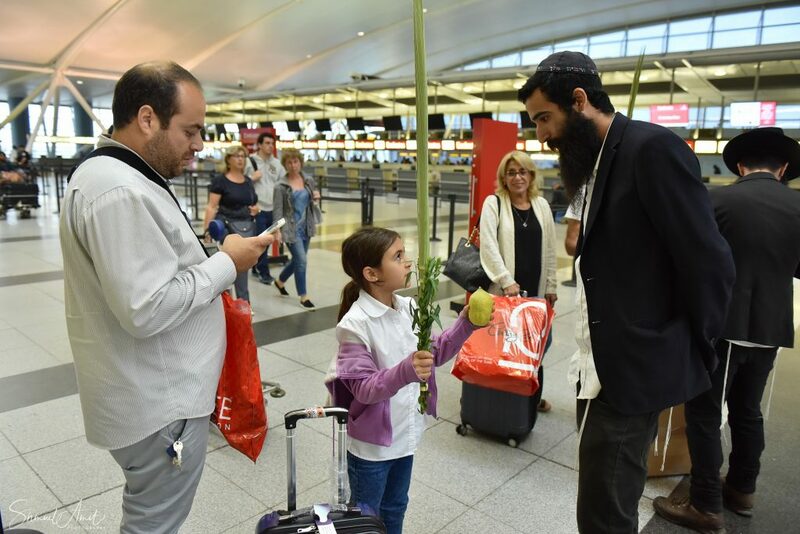 On Monday, the third day of Chol HaMoed, a historic event took place at JFK airport. 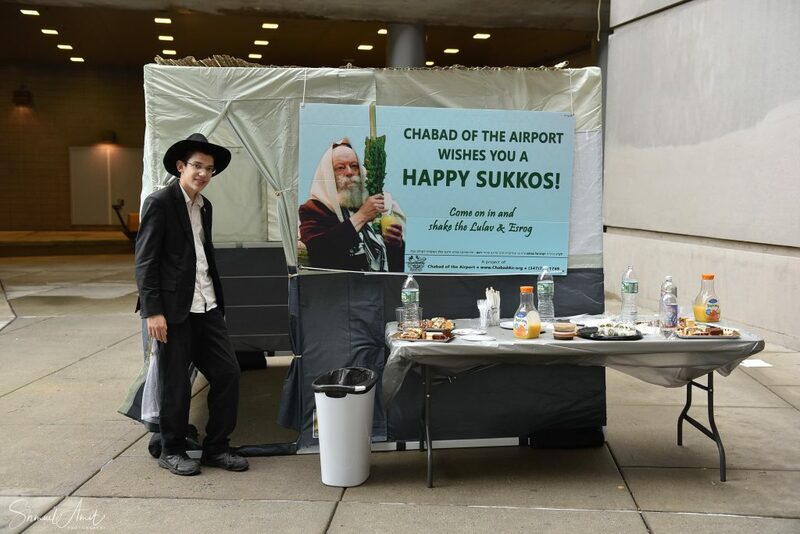 Until this year, there has never been an official Sukkah at an airport in the USA. 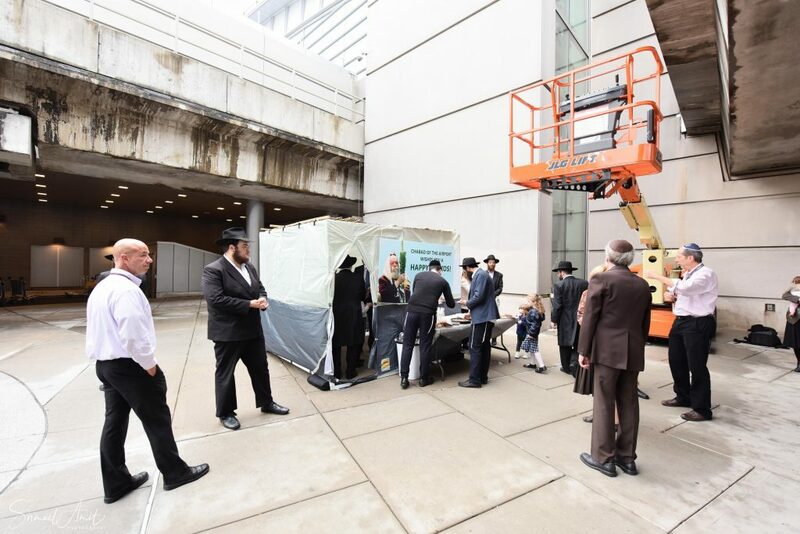 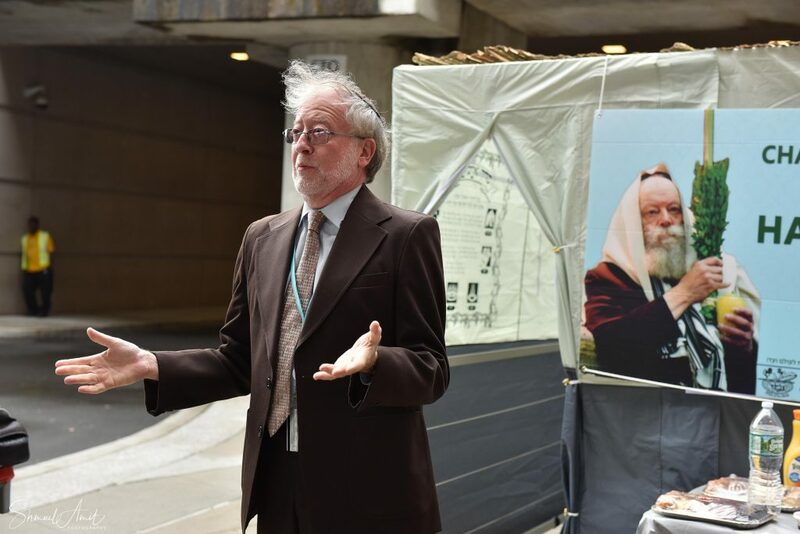 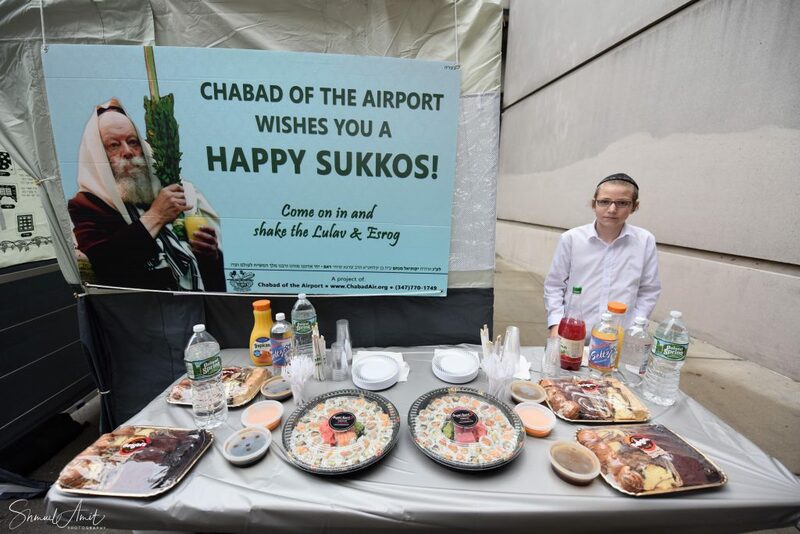 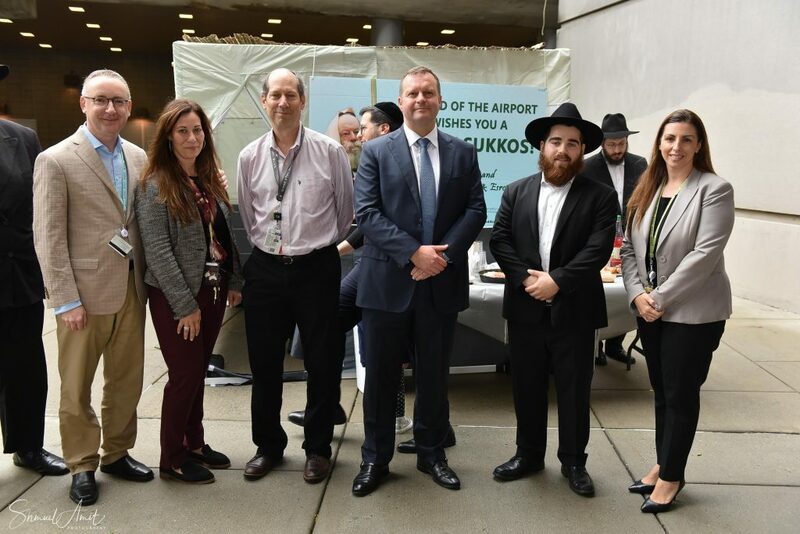 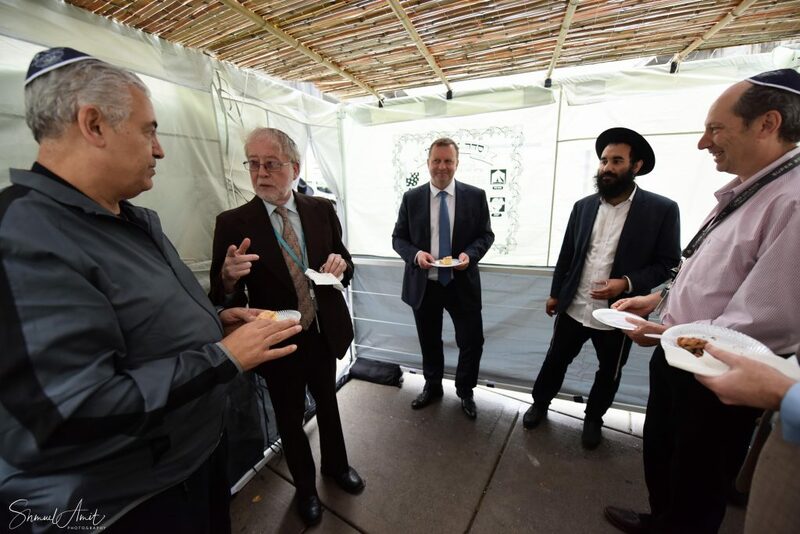 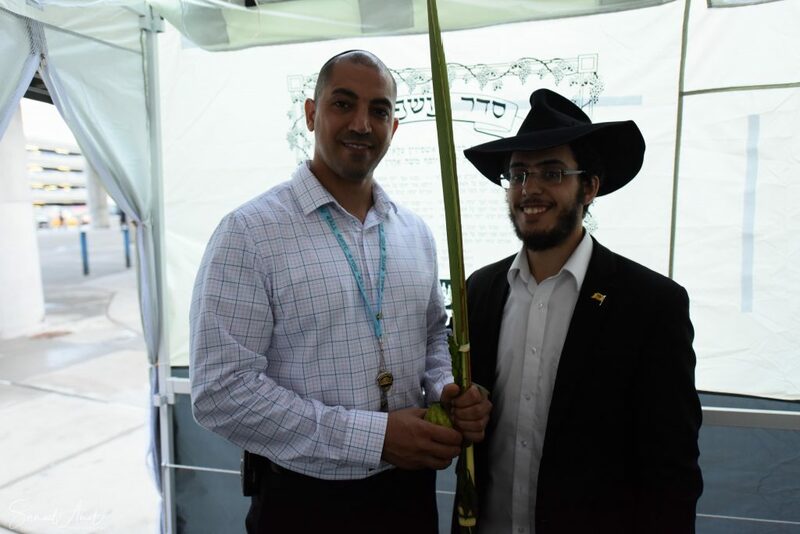 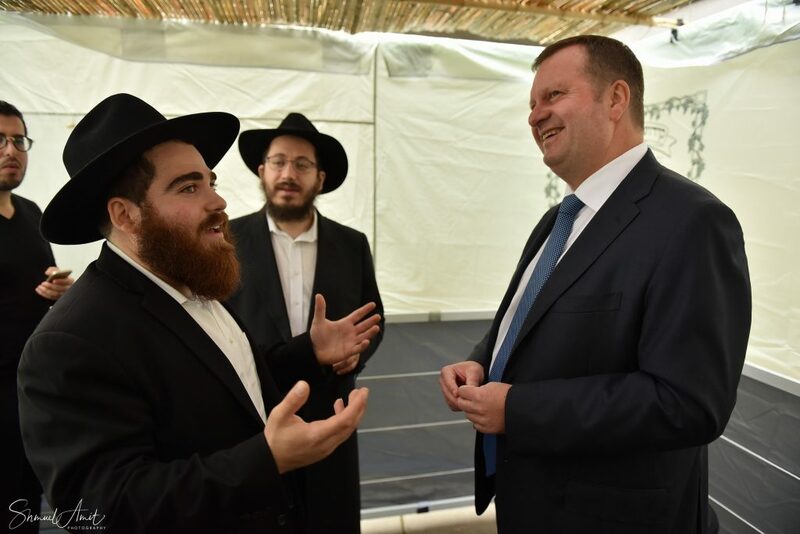 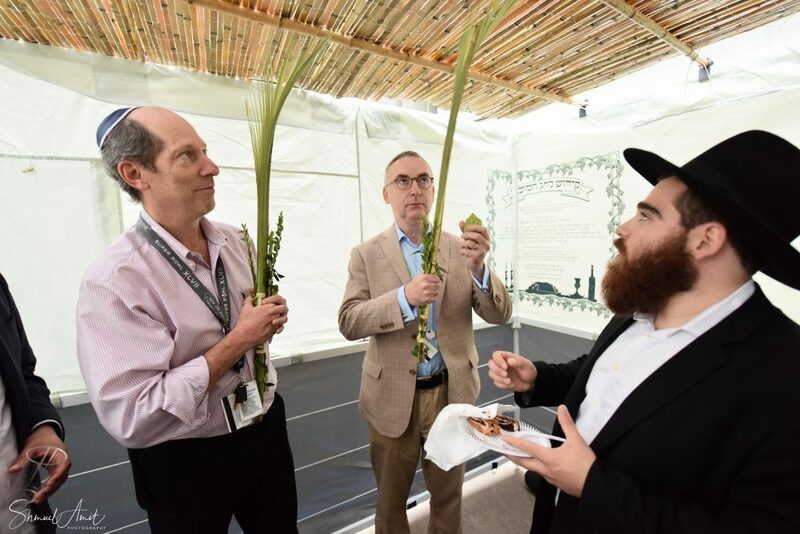 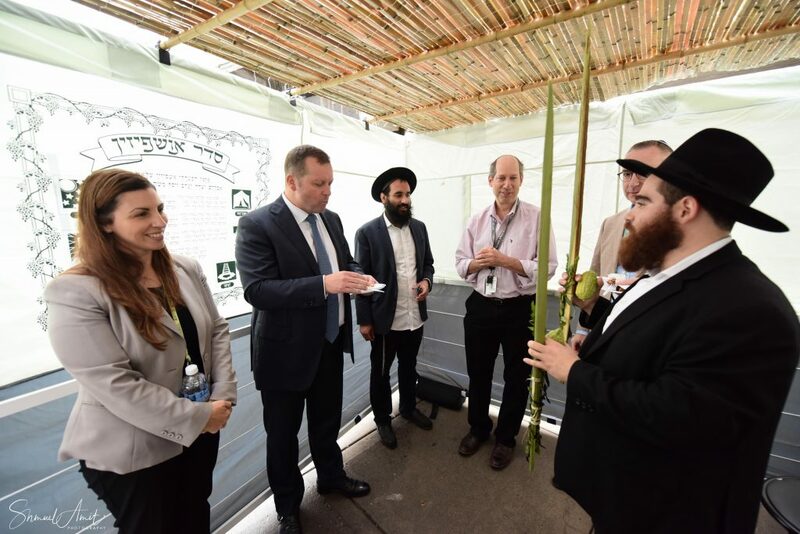 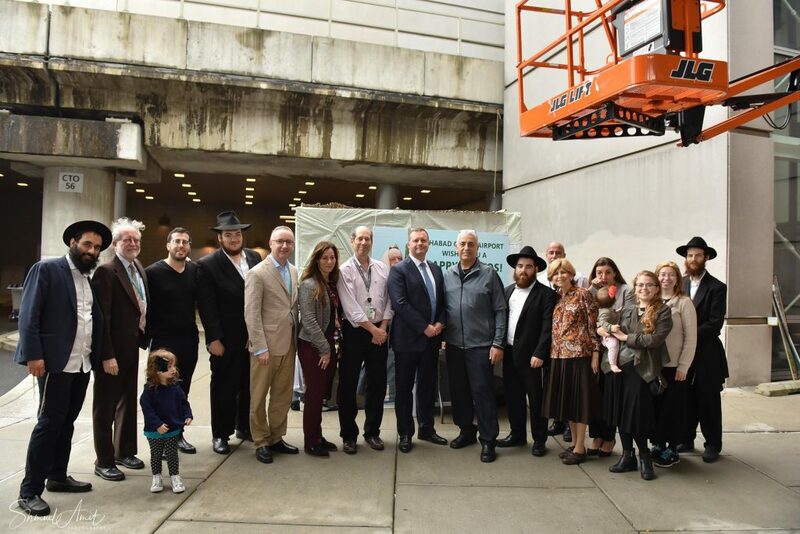 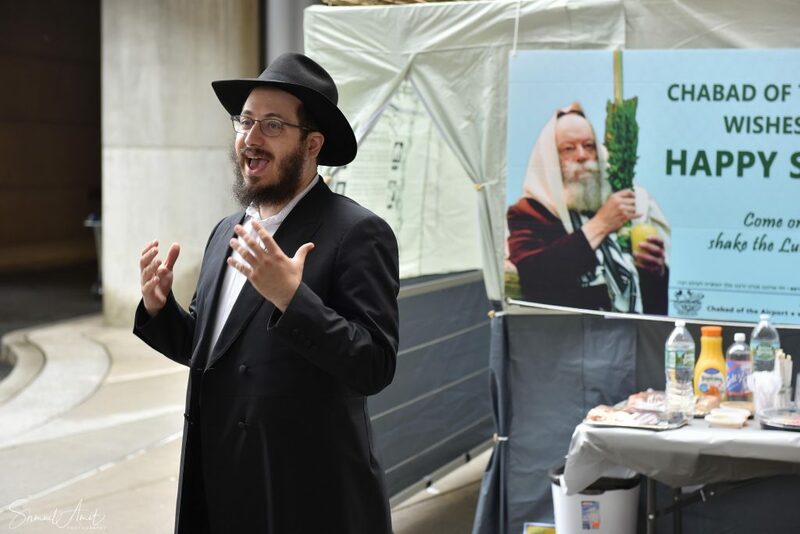 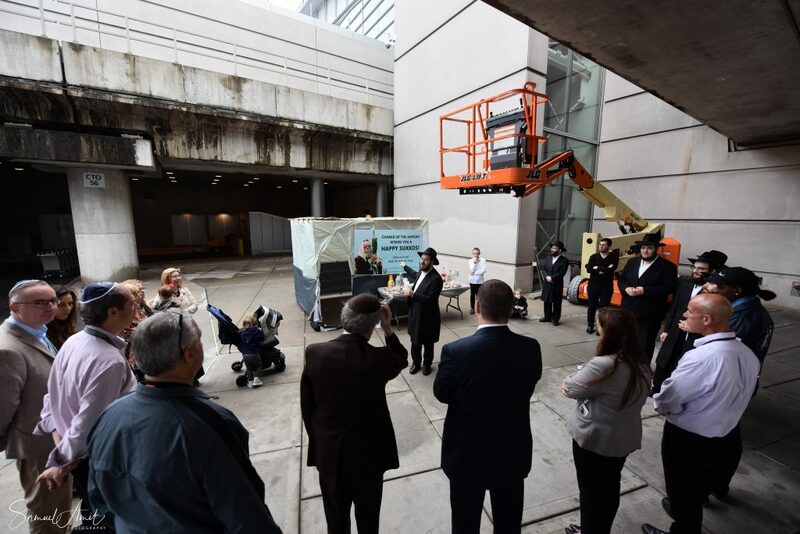 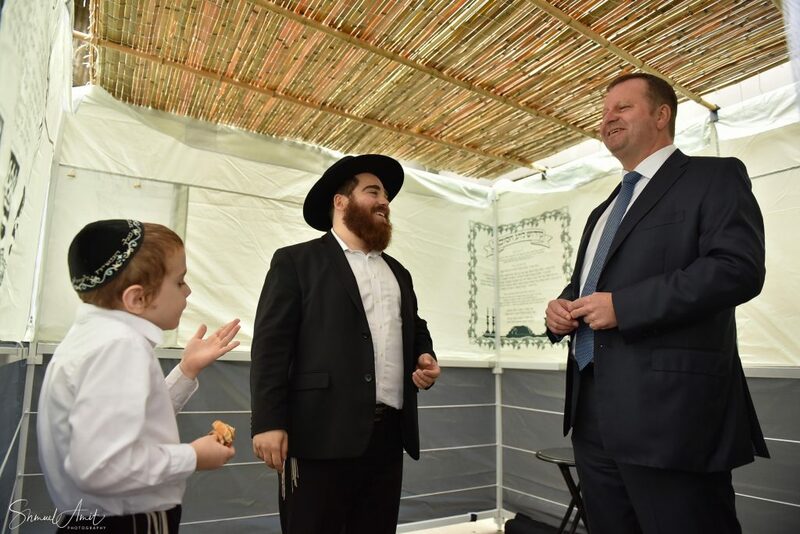 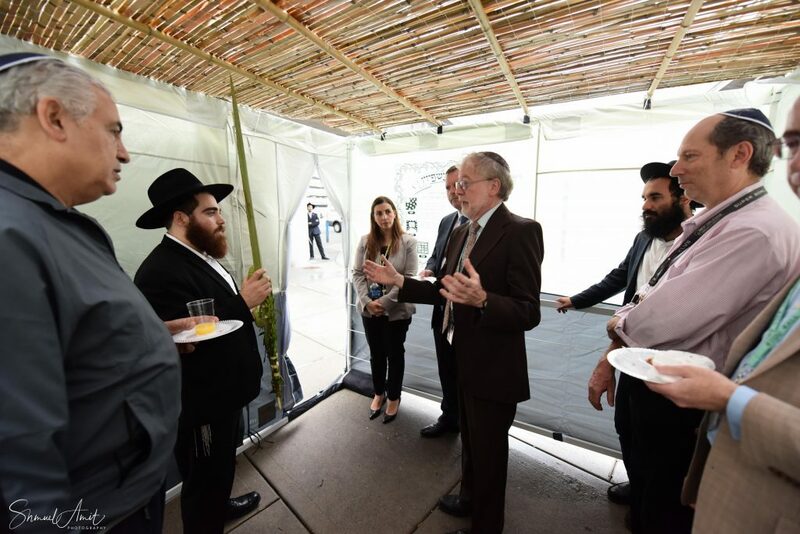 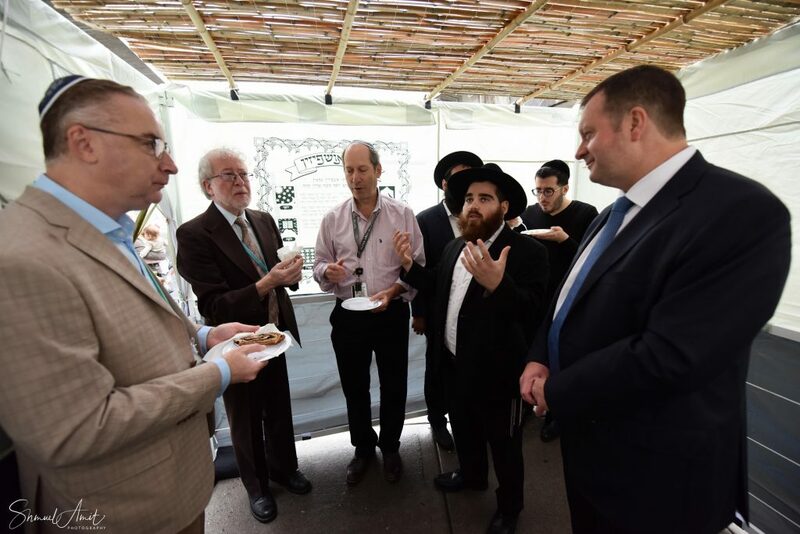 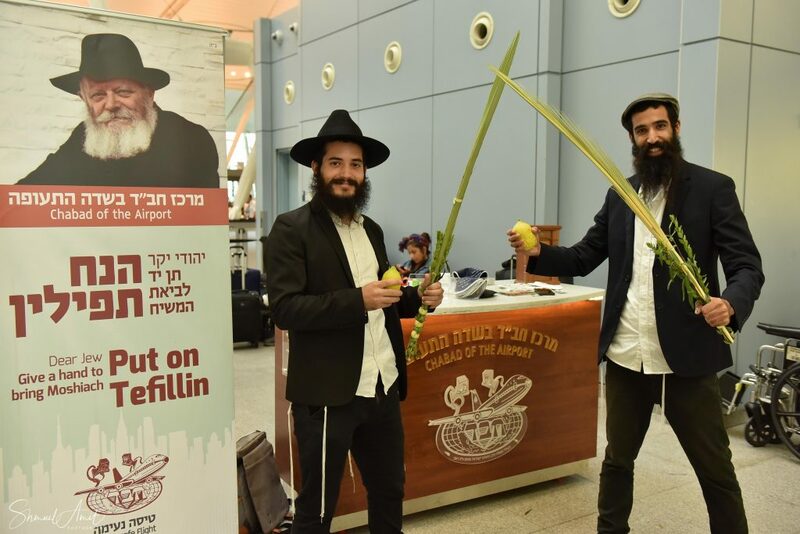 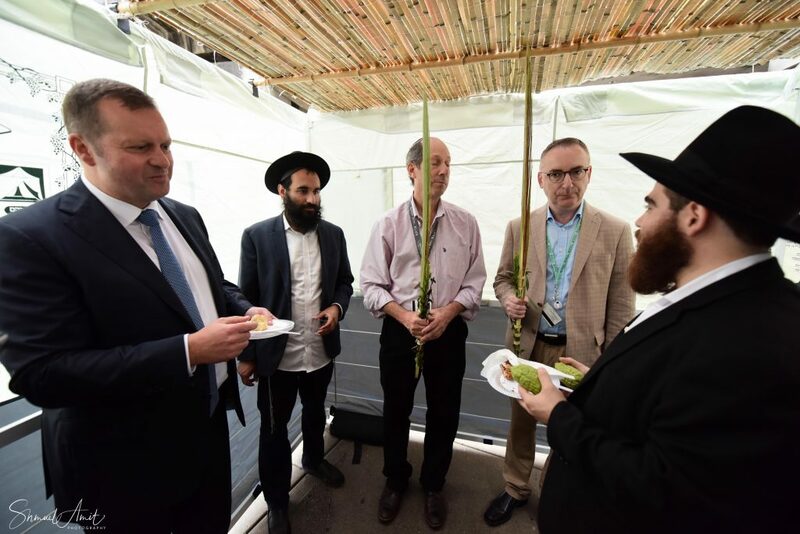 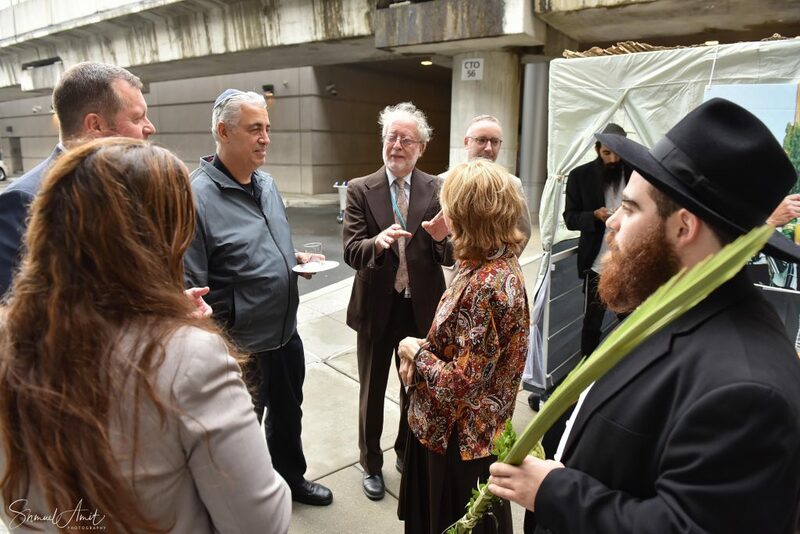 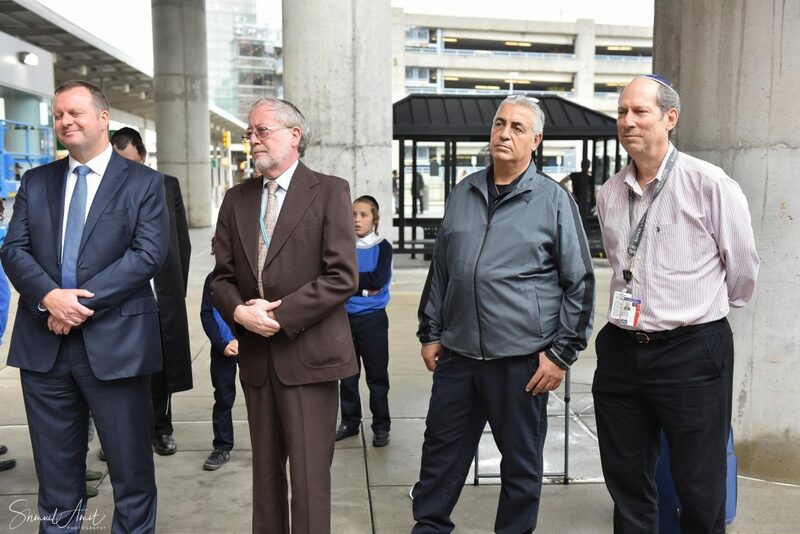 This year, thanks to the continuous activities and relationships developed by Chabad at the airport, there is an official Sukkah at JFK airport. 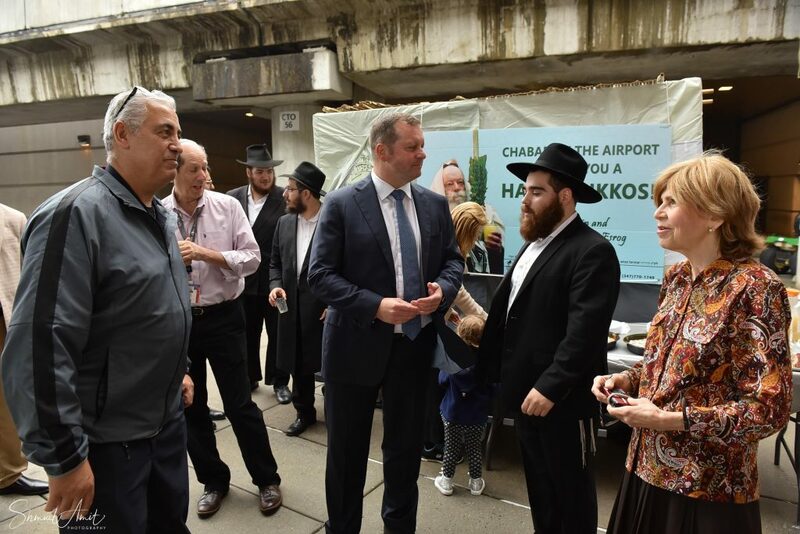 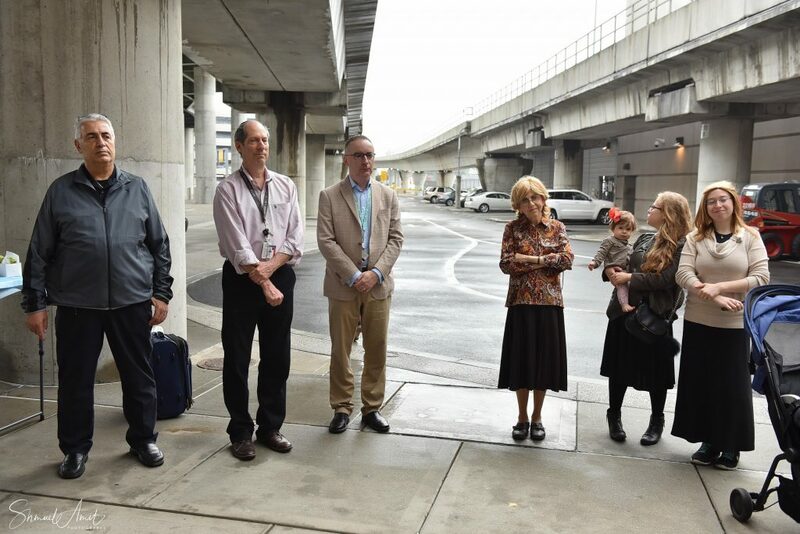 To commemorate this historic occurrence, a special event was organized by Rabbi Yossi Rapp, the Shliach to the airport. 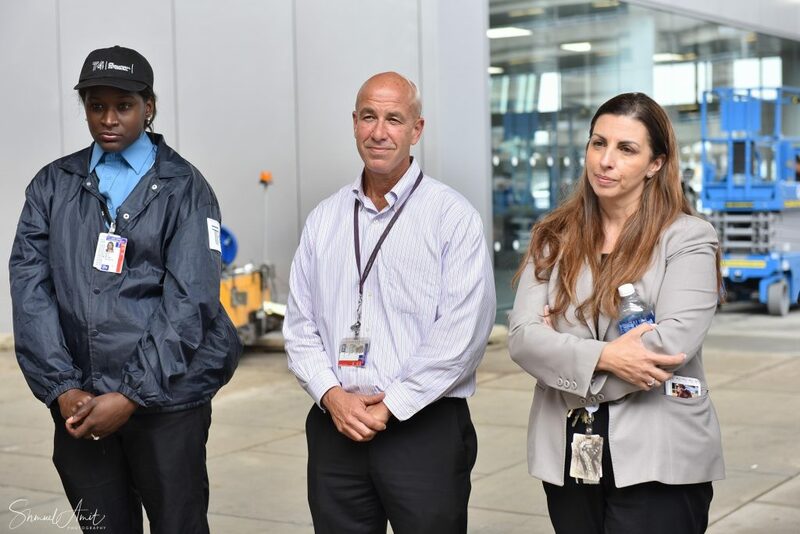 In attendance were special dignitaries including Mr. Gert-Jan de Graaff, the president of Terminal 4 and Ms. Susana Chuna the VP of operations for the terminal. 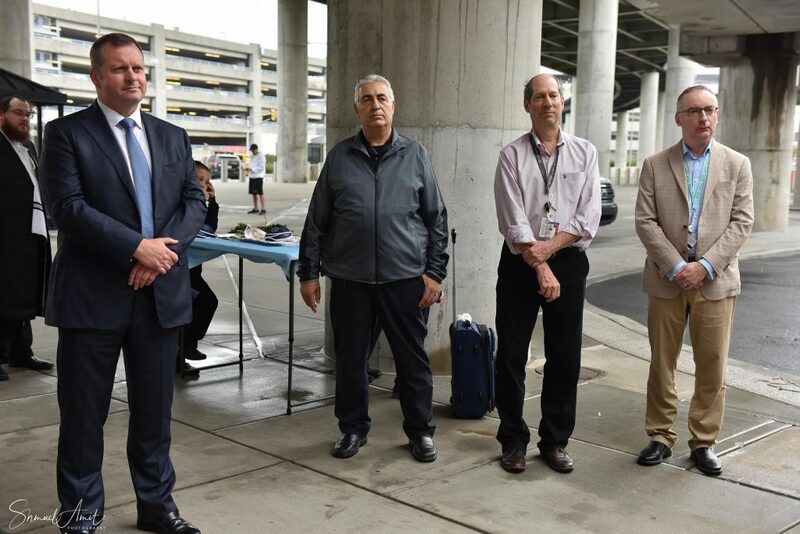 A special delegation from the US Customs office was there as well. 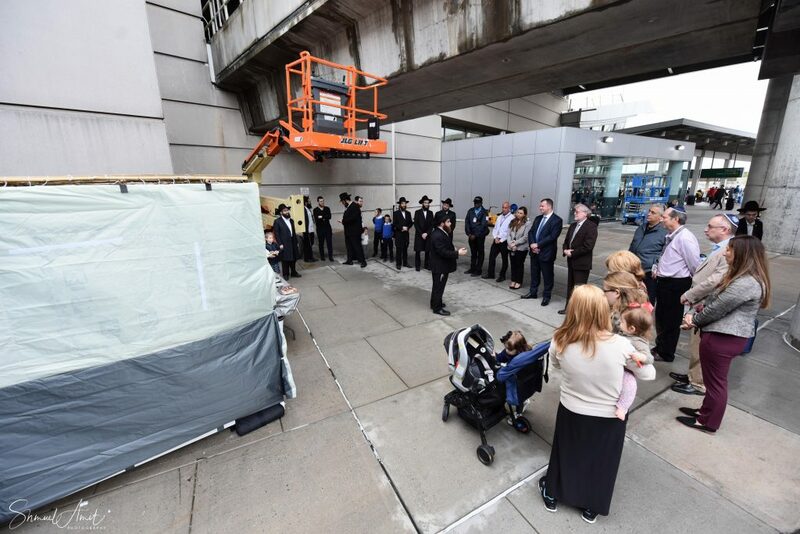 The assembled heard words of appreciation and explanation of the Yom-Tov of Sukkos from Rabbi Rapp. 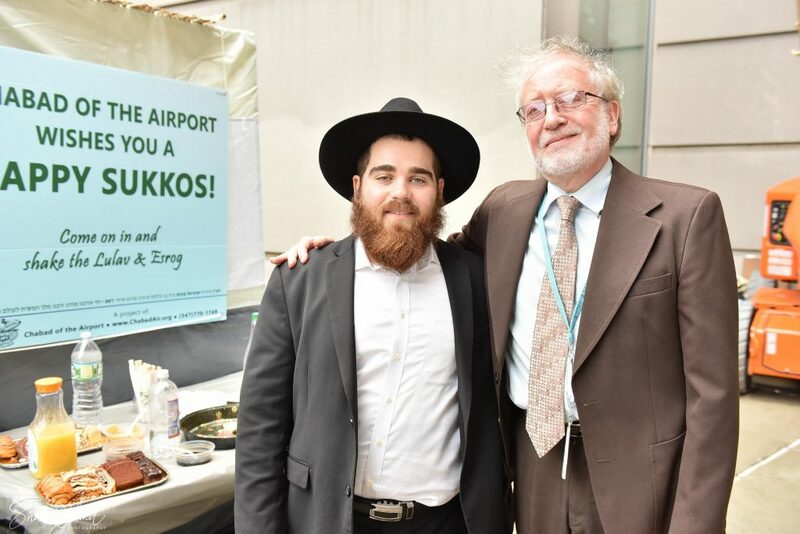 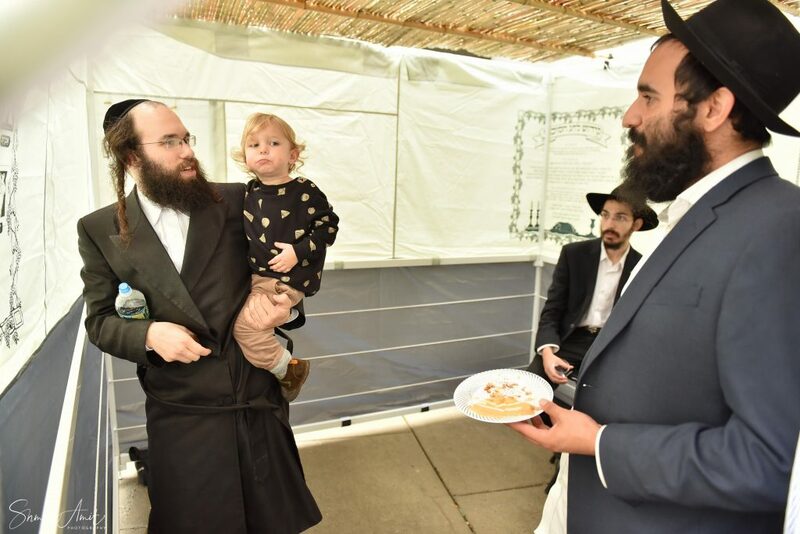 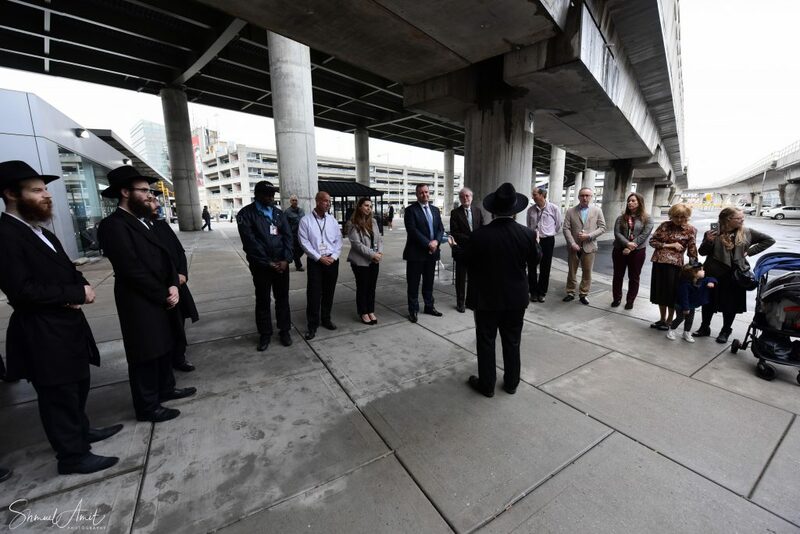 In addition, they were addressed by Rabbi Gershon Avtzon of Cincinnati, Ohio and the airport chaplain, and dear friend of Chabad, Rabbi Ari Korenblat. 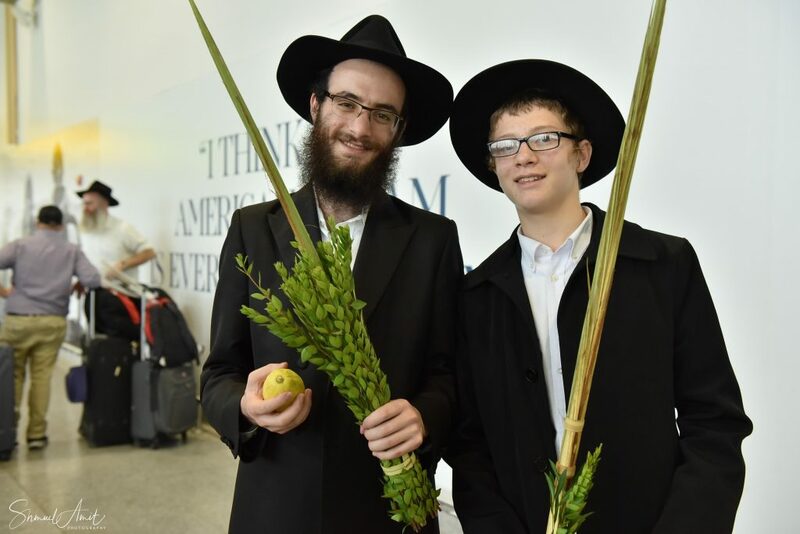 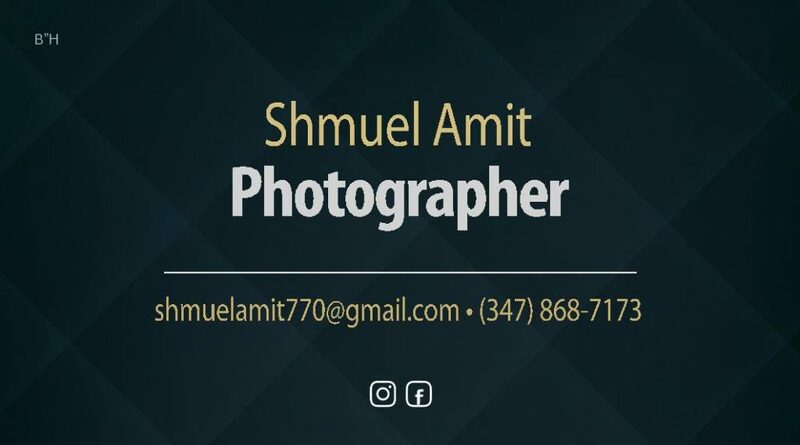 Chabad at the airport would like to thank all those that made this possible and the continuous dedication of the many volunteers that come daily to help thousands do a Mitzva en-route to Eretz Yisroel. 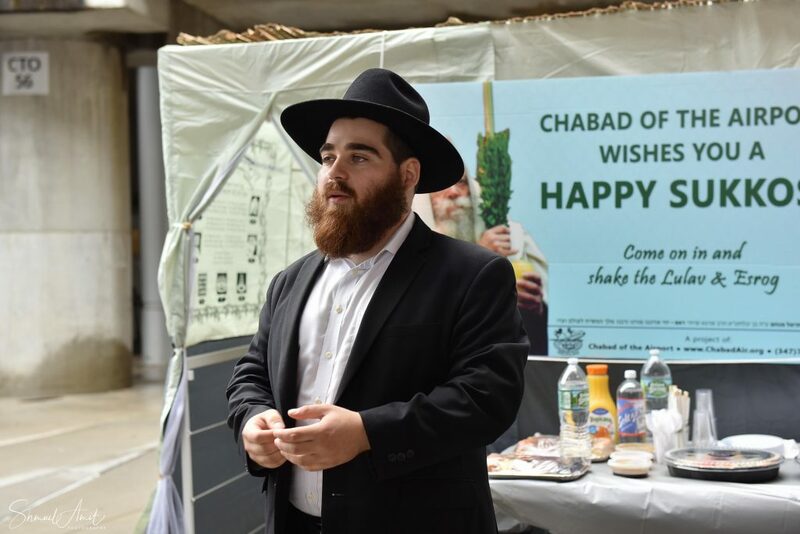 For more information, please visit ChabadAir.org.